Scattered throughout Isaiah 42–53 are four poems biblical scholars call the “servant songs.” The first six verses of Isaiah 49, quoted by Nephi in 1 Nephi 21, constitute the second of the four servant songs. The identity of the servant in these poems is a debated topic. Many scholars and Jews suggest that the “servant” represents the nation of Israel as a whole while Christians have traditionally interpreted it as a reference to the Savior. While both of these interpretations have great merit, Nephi begins his quotation of Isaiah by inviting us to “liken them unto yourselves, that ye may have hope as well as your brethren” (1 Nephi 19:24). Modern-day Prophet Wilford Woodruff taught, “the 49th chapter of Isaiah is having its fulfillment [in the latter-days].” If we consider, or liken, Isaiah 49 (1 Nephi 21) to the Latter-day dispensation, who might qualify as the servant spoken of in Isaiah 49:1–6? The servant is “called … from the womb” (1 Nephi 21:1; Isaiah 49:1). His “mouth [was] like a sharp sword” (1 Nephi 21:2; Isaiah 49:2). He was hidden “in the shadow of [the Lord’s] hand” (1 Nephi 21:2; Isaiah 49:2). He was “made … a polished shaft” tucked away in the Lord’s quiver (1 Nephi 21:2; Isaiah 49:2). He will feel that he “labored in vain” (1 Nephi 21:4; Isaiah 49:4). He could speak with the authority of the Lord (1 Nephi 21:5; Isaiah 49:5). He knew he had been foreordained, or from the “womb” (1 Nephi 21:5; Isaiah 49:5). His life’s work would be “to bring Jacob again to [the Lord]—though Israel be not gathered” (1 Nephi 21:5; Isaiah 49:5). He would “raise up the tribes of Jacob, and to restore the preserved of Israel” (1 Nephi 21:6; Isaiah 49:6). He would be “a light to the Gentiles” (1 Nephi 21:6; Isaiah 49:6). He would be despised of men and abhorred by nations, yet, “Kings shall see and arise, princes also shall worship” (1 Nephi 21:7; Isaiah 49:7). He will be given to Israel “for a covenant of the people to establish the earth, to cause to inherit the desolate heritages,” he will free prisoners and enlighten “them that sit in darkness” and shepherd the chosen people (1 Nephi 21:8–9; Isaiah 49:8–9). Joseph Smith was foreordained, and hence called “from the womb” (2 Nephi 3:7–9, 14–15). He knew of his foreordination (D&C 127:2). Spoke the word of Lord, which is “quick and powerful, sharper than a two-edged sword, to the dividing asunder of both joints and marrow” (D&C 6:2). Was hidden from world by the Lord (D&C 86:9). He became very discouraged (D&C 121:2). Frequently spoke with the authority of the Lord, declaring, “Thus saith the Lord” on several occasions (e.g., D&C 52:1; 54:1; 55:1; 60:1). 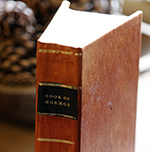 Brought forth the Book of Mormon, which was written to “a remnant of the house of Israel” and to convince them “that Jesus is the Christ, the Eternal God” (Title Page). Was given the keys for the latter-day gathering of Israel (D&C 110:11). Was declared, by the Lord, to be “a light unto the Gentiles, and through this priesthood, a savior unto my people Israel” (D&C 86:11). Both good and evil have been spoken of him (See Joseph Smith—History 1:33), and the gospel he restored was promised to be proclaimed “before kings and rulers” (D&C 1:23). The gospel covenant was restored through him (D&C 1:17–22). Nephi applies Isaiah’s prophecy about the Gentiles (Isaiah 49:22–23; 1 Nephi 21:22–23) to the latter-day restoration, where the Lord “will proceed to do a marvelous work among the Gentiles, which shall be of great worth unto our seed” (1 Nephi 22:8; also see verses 6–14). It is important to stress that in seeing Joseph Smith as the servant from Isaiah 49, this does not mean or suggest that he is the Messiah, or that he is equal in importance to the Savior. 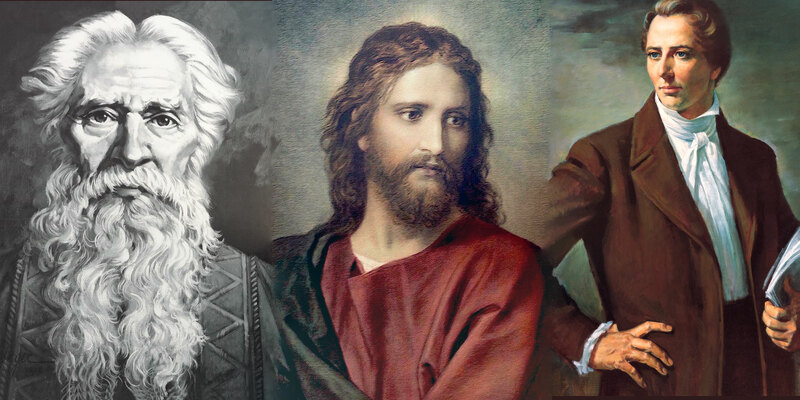 Joseph Smith was a type, ultimately pointing back to the Lord Jesus Christ. Victor L. Ludlow has suggested that the servant embodies several of “the house of Israel’s major representatives throughout the ages.” Joseph Smith was one of many lesser “saviors” (see Obadiah 1:21; D&C 86:11) who participate in the Lord’s work of salvation among his people, but among all the prophets he served in many ways that are noticeably unusual and uncommonly distinctive. Andrew C. Skinner, “Nephi’s Lessons to His People: The Messiah, the Land, and Isaiah 48–49 in 1 Nephi 19–22,” in Isaiah in the Book of Mormon, ed. Donald W. Parry and John W. Welch (Provo, UT: FARMS, 1998), 95–122. Victor L. Ludlow, Isaiah: Prophet, Seer, and Poet (Salt Lake City, UT: Deseret Book, 1982), 407–410. All four are: (1) Isaiah 42:1–4; (2) Isaiah 49:1–6; (3) Isaiah 50:4–9; (4) Isaiah 52:13–53:12. “Discourse by President Wilford Woodruff,” The Latter-day Saints’ Millennial Star 47, no. 58 (November 19, 1896): 738. Adapted from Andrew C. Skinner, “Nephi’s Lessons to His People: The Messiah, the Land, and Isaiah 48–49 in 1 Nephi 19–22,” in Isaiah in the Book of Mormon, ed. Donald W. Parry and John W. Welch (Provo, UT: FARMS, 1998), 106–107. Skinner, “Nephi’s Lessons to His People,” 107. For examples of others arguing that Joseph Smith can be the servant, see Victor L. Ludlow, Isaiah: Prophet, Seer, and Poet (Salt Lake City, UT: Deseret Book, 1982), 407–410; George A. Horton Jr., “Prophecies in the Bible about Joseph Smith,” Ensign (January 1989); Richard Wadsworth, “I Have a Question: Does the Book of Mormon prophesy of the Prophet Joseph Smith?” Ensign (April 1989). B.H. Roberts, ed., History of the Church of Jesus Christ of Latter-day Saints, 6 vols. (Salt Lake City, UT: Deseret Book, 1958), 5:401. Adapted from Skinner, “Nephi’s Lessons to His People,” 107–109. Skinner, “Nephi’s Lessons to His People,” 109. Skinner, “Nephi’s Lessons to His People,” 109–110. I have tried applying the "servant" to various individuals, but all seem to not work consistently although they do "fit" in some ways. So I have concluded for myself that any person or entity which conveys the Word of the Lord is serving the Lord's purposes as a Servant (the Book of Mormon, for instance, and all scripture, and prophets, etc.). So for myself, I am satisfied to believe the Servant is a Conveyor - a Conveyor of the Word and Will of the Lord Jesus Christ.